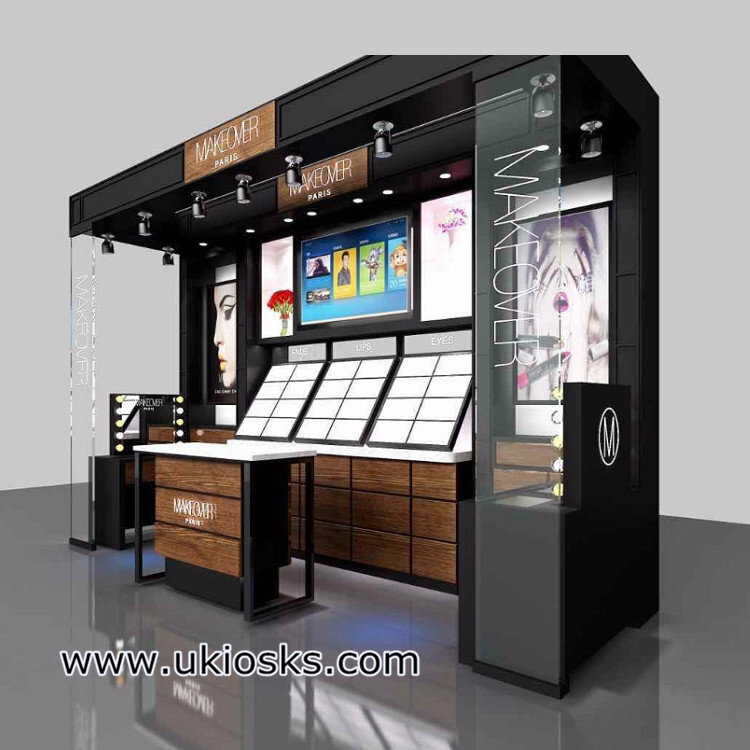 cosmetic shop display cabinet is customized for mall kiosk. 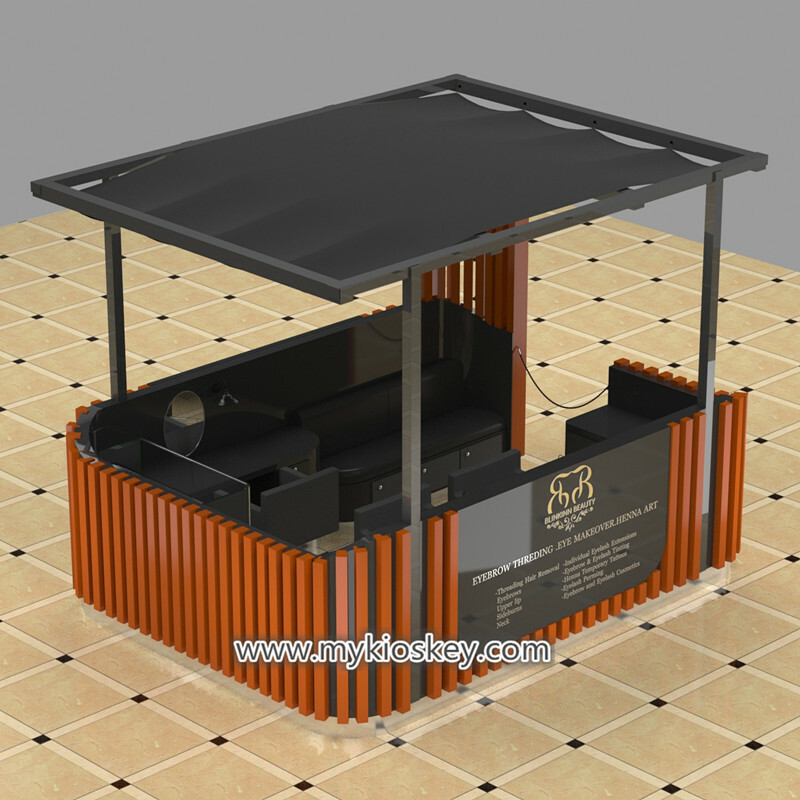 In this society, there are many kinds of different brands.So have different style shops.As a factory which mainly make custom made display furniture. 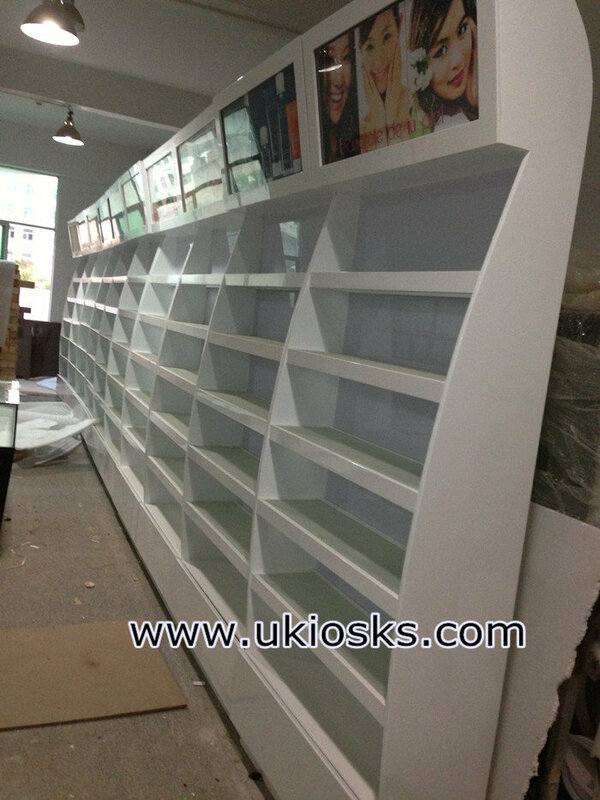 So every year we make many cosmetic shop display cabinet for different cosmetic brands. 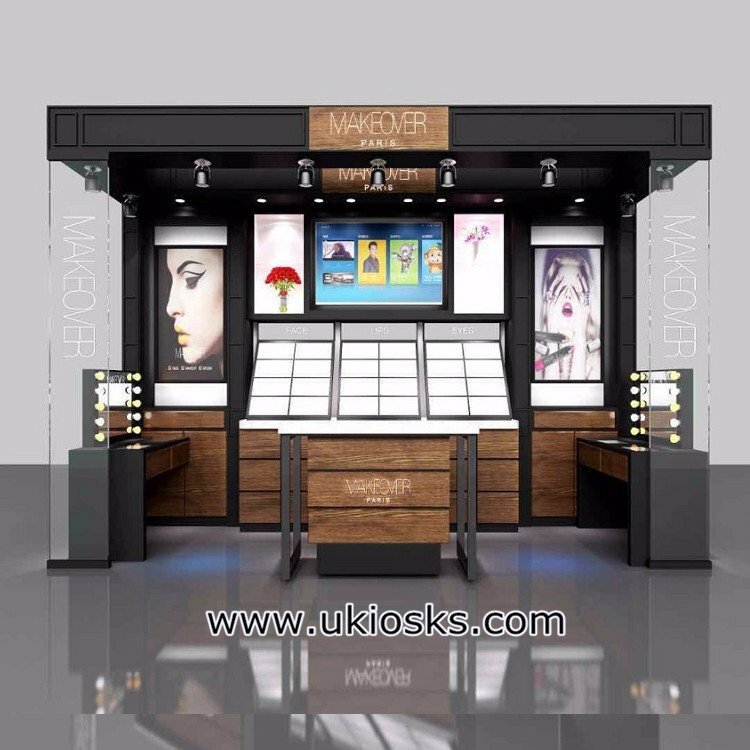 Today let me show you the makeup display shelf showcase . 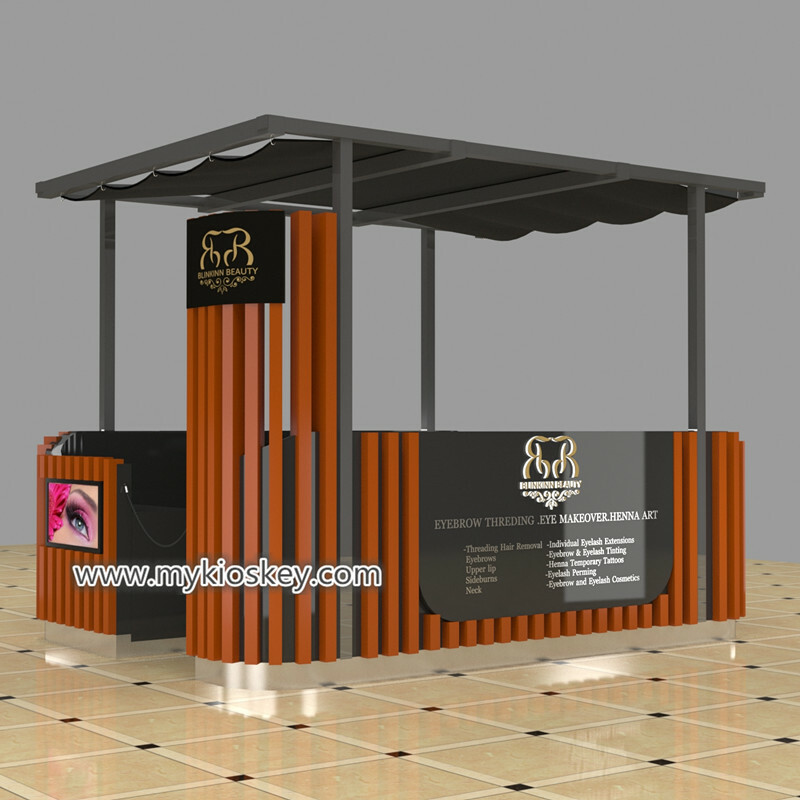 Below is 3D MAX design drawing for the cosmetic shop display cabinet. 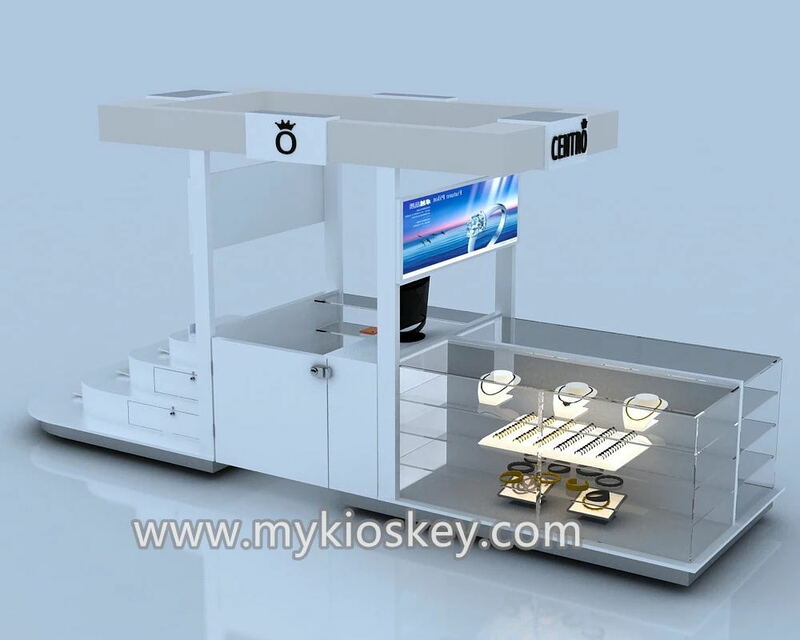 Each one with logo,light box and LED light strips. 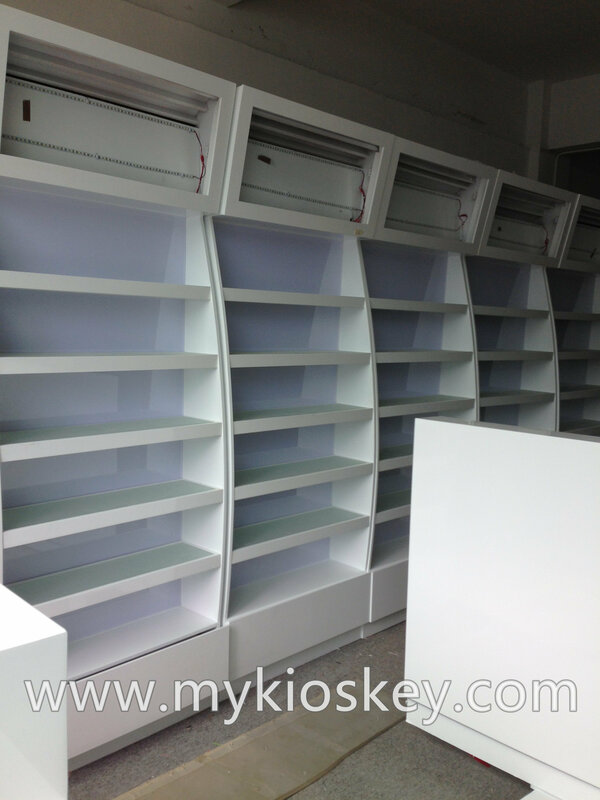 Main materails are MDF with baking paint and tempered glass. Some parts surface material is wood veneer. 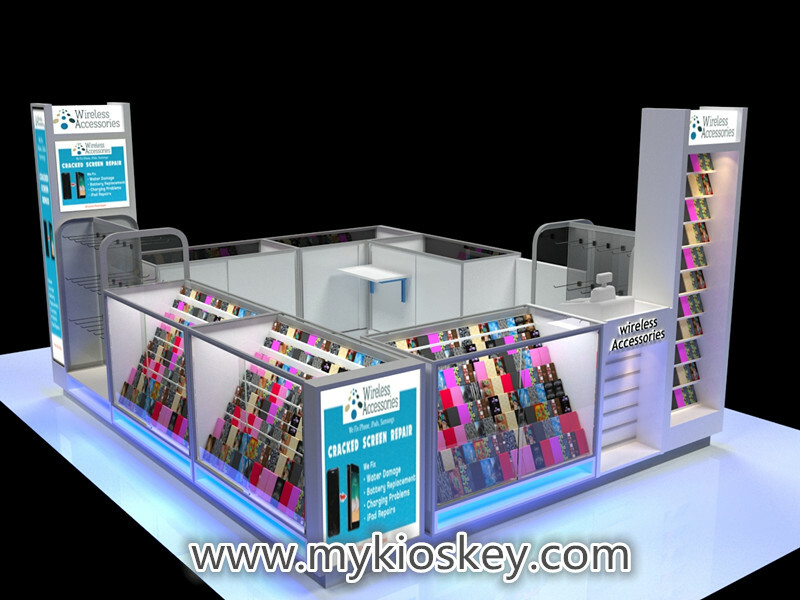 For sizes and style, we can make according to customers’ personal need. 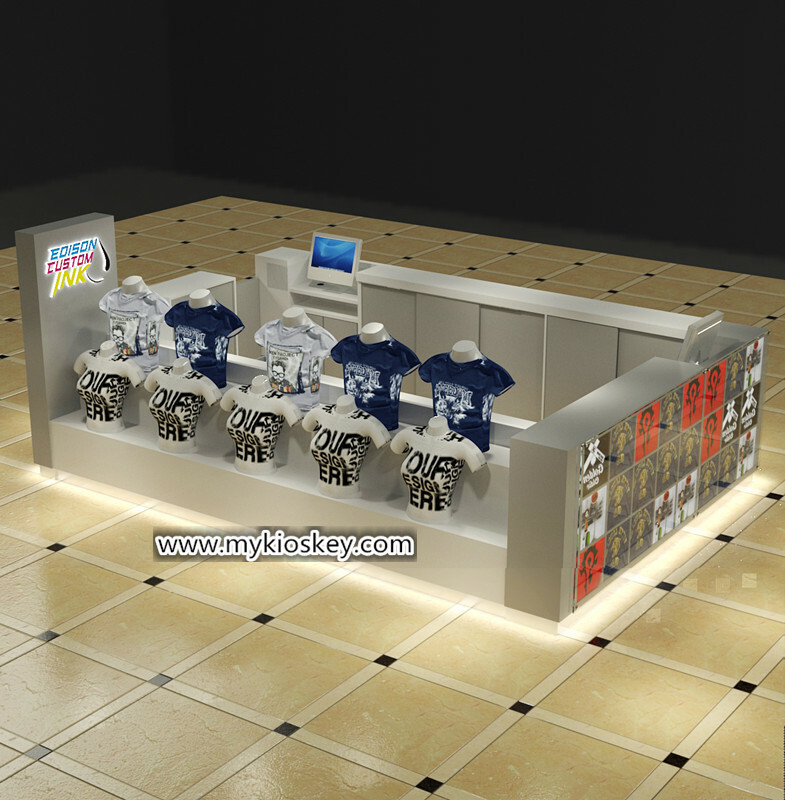 before order, usually we make new 3D MAX design for confirmation. 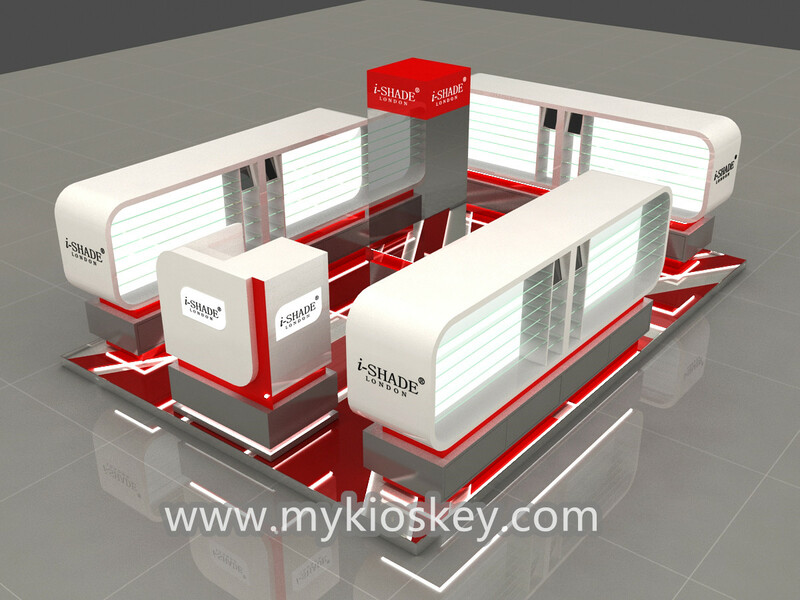 After all are confirmed ok, we can start production. As well, enclosed two clear finished photos for reference. 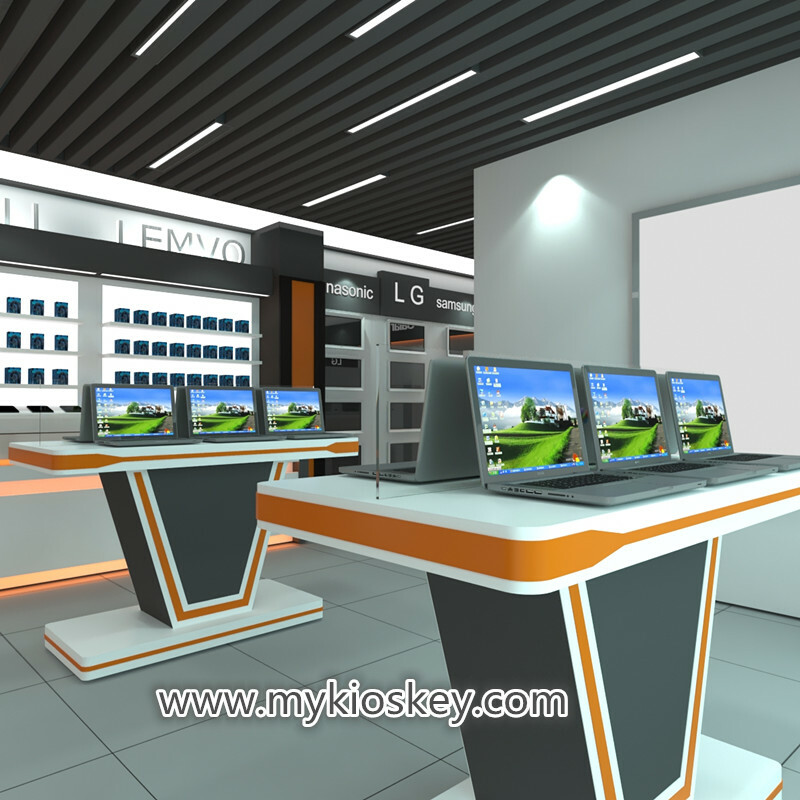 Can see clearly, our baking paint workmanship is very good. 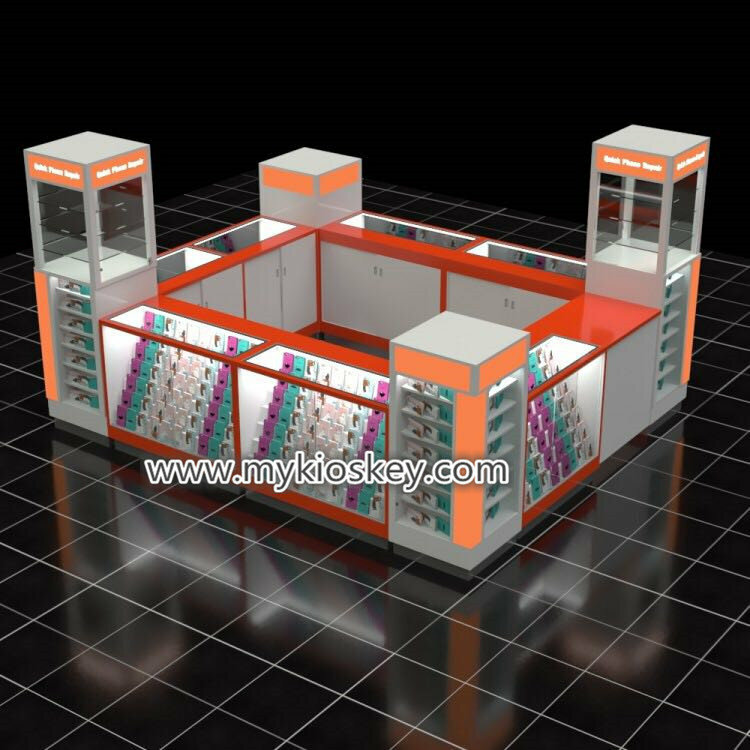 So for these makeup display shelf showcases, though don’t have colorful colors, but looks very exquisite. On the back side, hide one whole acrylic panel.Then light transmission from the back. 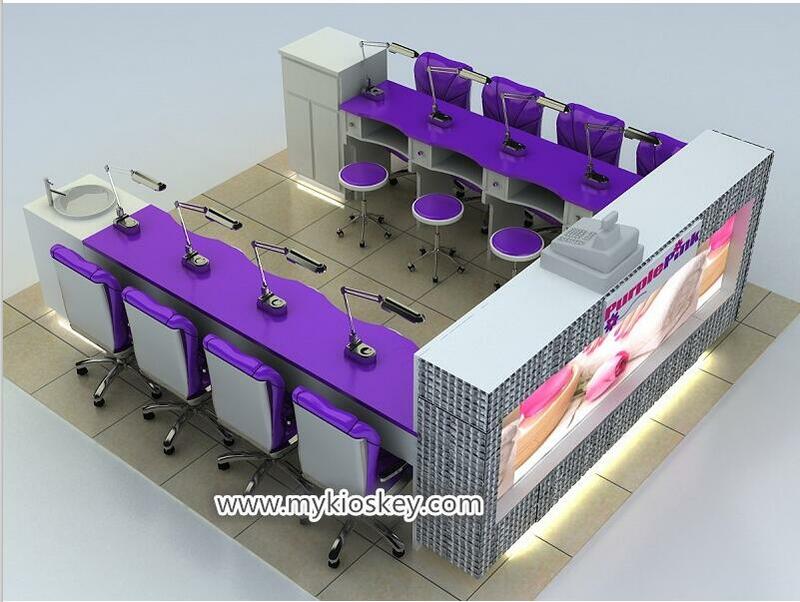 For cosmetic shop display cabinet, we can use them to display various make-up products. 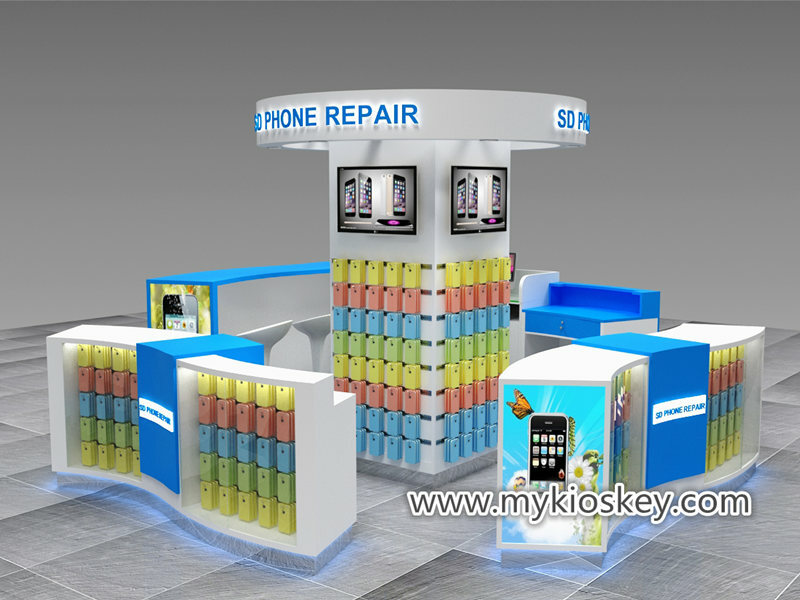 Wherever use it, always can bring good business to you. 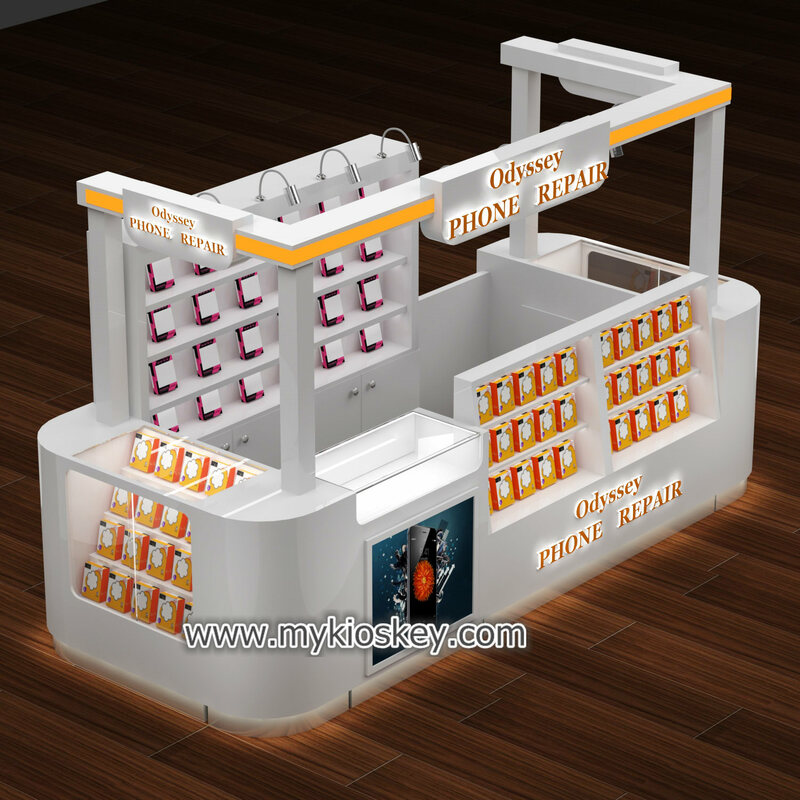 So,If you want to order cosmetic shop display cabinet, just contact us freely.